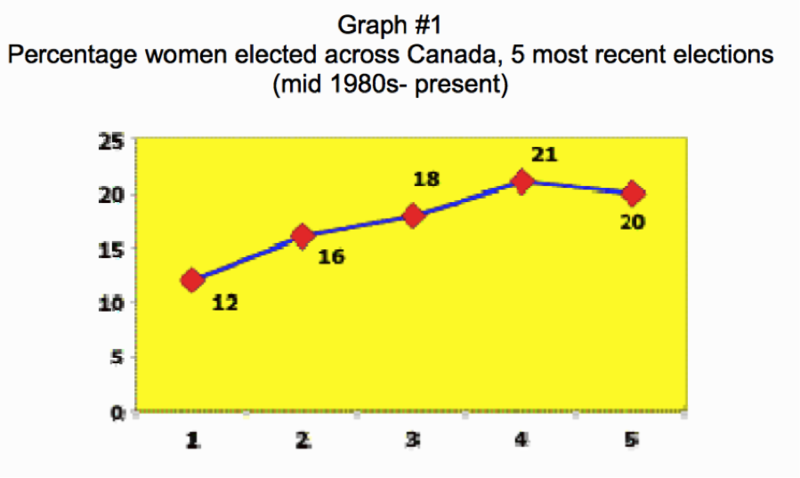 Why are there so few women in Canadian politics? Most Canadians are aware that women are greatly underrepresented in politics all over the world and in our own country. Only about 20% of our members of parliament at all levels of government in Canada are women. We are all aware that this is something that needs to change and many organizations work everyday towards reducing this inequality gap. However, we rarely stop and wonder why so few women are involved in politics. Many reasons have been suggested. Some researchers blame women, alleging that women are not as “good” politicians as men are. or that women are simply not as interested in politics as men are. However, I believe that there is a social barrier that stops women from reaching the highest levels in politics. Historically many politicians come from a law background, however, this tendency has changed. Many politicians today are businessmen and women. Research has shown that people in business like to win and are used to problem solving, which makes them good candidates as politicians. Former Prime Minister Paul Martin was for many years a senior executive of Power Corporation, while Danny Williams, premier of Newfoundland from 2003 to 2010, owned Cable Atlantic and was president of OIS Fisher. These are only a few examples of prominent politicians with a b ackground in business. Today, 26% of the Members of Parliament have a background in business. with most of these people serving as CEOs or other senior executive positions. Although Canadian business women outnumber businessmen, the glass ceiling, stops women from reaching the highest-positions in the corporate world. This has a direct effect on the number of women involved in politics. Recruitment in the corporate world for politics is increasing. Women will not be the ones recruited in the political world because they cannot reach the corporate level as easily as men due mainly to discriminatory practices. The same reasons that keep women from reaching the highest boardrooms also keep them from reaching the highest political positions. Sexism is still present and many people still believe that women are not qualified to be CEOs, or in this case, politicians. If only a few women pierce the glass ceiling to reach the top business levels, the chances of equal representation in government are diminished. 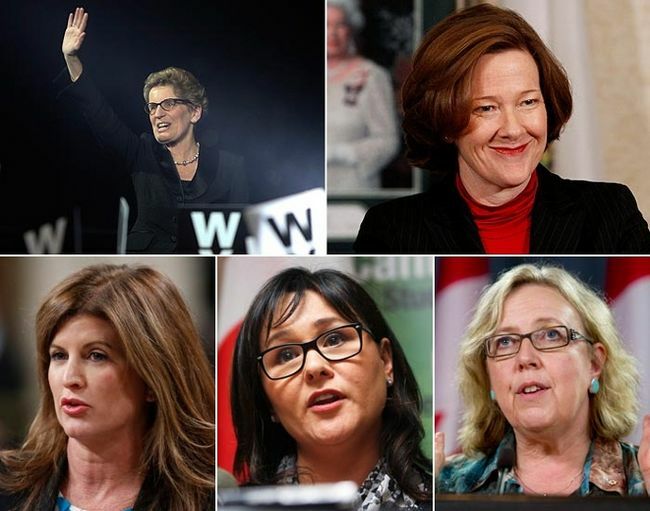 How many of these female politicians can you name? Many other reasons are responsible for the lack of female involved in politics. Women are more concerned about their family and how to balance it with work. They also have a tendency to avoid confrontation and bullying which are both very present in politics. However, if the number of women in the highest ranks of the business field increased, I do believe that subsequently, the number of female politicians would also increase. It is important to encourage women to participate and get involved in politics but it is also crucial to address the subject of the glass ceiling. Solving this problem would cause a chain of positive change in many spheres of the Canadian society.